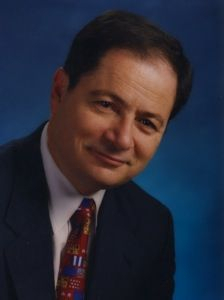 Angelo Marino Jr. is a Board Certified Civil Trial Lawyer who practices in both state and federal courts. For 46 years he has expertly represented clients in Broward, Dade, and Palm Beach counties, and throughout Florida. Appearing on local and national talk shows such as Voice of America, he has provided professional information and advice to the public in the areas of personal injury and consumer law. A member of the Florida, Ohio, and Federal Bars, he has argued before the United States District Court for the Southern District of Florida, the United States Court of Appeals for the 11th Circuit, and the Federal Claims Court. He also worked as Public Defender for the City of Tamarac, Florida. Mr. Marino is or has been a member of many professional organizations, including the American Association for Justice, the Florida Justice Association, the American Bar Association, the Florida Bar, the Broward County Bar Association (where he often serves as a mentor to young lawyers), the Broward County Trial Lawyers Association, the American Arbitration Association, theNational Association of Consumer Advocates, and the Committee on Professionalism of the Florida Bar. He is AV Preeminent rated by Martindale-Hubble (their highest rating), is listed in Super Lawyers, (The Super Lawyers selection process is based on peer recognition and professional achievement, and only 5% of Florida lawyers earn the honor. ), maintains a superb 10 rating from Avvo (their highest rating), is a member of the Million Dollar Trial Lawyers group on LinkedIn, and has been selected as one of the top 100 lawyers by The National Trial Lawyers.